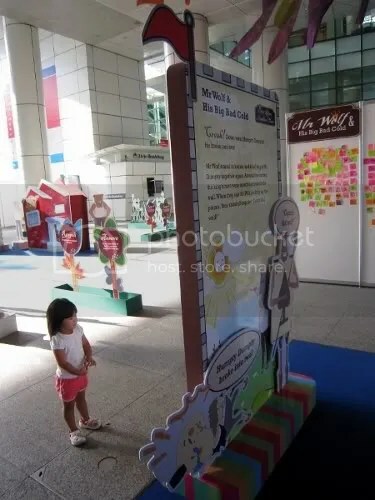 We had a bit of time before meeting Adrian for dinner on Wednesday so we popped over to the NLB building because I remembered that they had something on for Children’s Season as well. Honestly, the Once Upon Another Time event was the most boring thing ever because there was absolutely nothing going on there. Maybe it was because we got there at 5.15pm and the event (if you can even call it that) was supposed to end at 6pm. 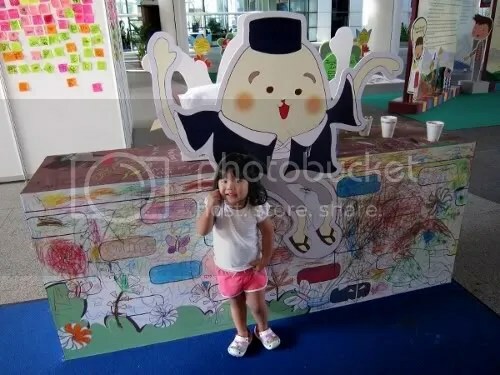 Anyway, there were large story panels which had fairy tale mash-ups such as one about the Big Bad Wolf, Humpty Dumpty and the three bears. 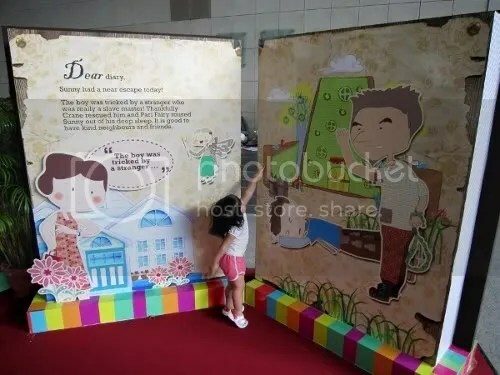 There was also a story which was an Asian version of Pinnochio + The Boy Who Cried Wolf where villagers were busy making rangoli patterns but the girl who was supposed to be watching out for rain kept lying that a storm was coming and her nose kept getting longer, etc. 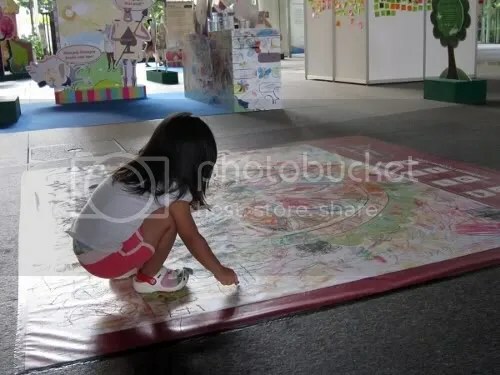 Related to that story were some plastic sheets with rangoli patterns that kids could colour in with crayons and that was the only activity for kids. I read somewhere that there were storytelling sessions but there wasn’t any info available as far as I could see. 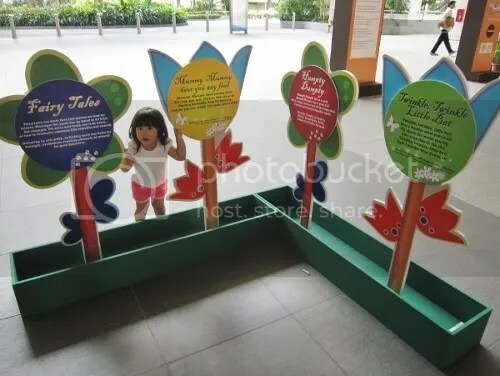 I think that as the National Library, there’s so much they can do to excite and engage kids so the lack of effort was appalling especially in comparison with what the other organisations are doing for Children’s Season. So disappointing! I would write it off as a complete waste of time except that Anya was quite happy colouring rangoli and listening to me read the different stories to her. 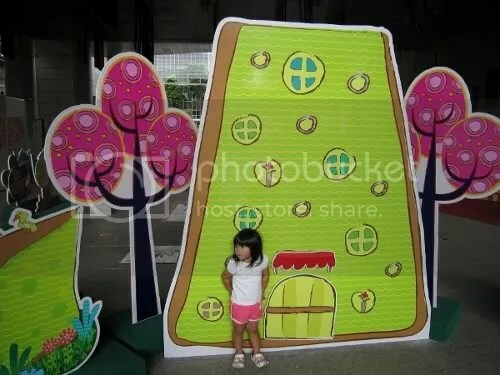 This entry was posted in Uncategorized and tagged children's season, rant on June 24, 2011 by delphine.